Rotary Mysore is stepping today into its 75th year of service, with our charter day being 5th July 1944. Rotary Mysore was the first Club in erstwhile RI District 3180 and has been serving society for decades - providing education & literacy, healthcare, shelter, youth activities, safe drinking water, vocational training et al. We are strong in all avenues of services and have an excellent public image and the beneficiaries are our ambassadors. I thank all our leaders over these 75 years for the wonderful legacy of this great club. My team members and I look forward to the coming year with commitment in our hearts and dreams in our eyes. Expectations are high and the pressure of responsibility is heavy. But it is team effort that has borne fruit in all these 75 years and will hold us in good stead in future. We will all collectively and hand-in-hand walk together, work together, give together, eat together and laugh together in order to accomplish our goals. Let us all keep up the high standards and decorum for this great club. Let’s all target unique achievements in tune with this momentous occasion. As RI President Barry Rassin has called for, let’s Be the Inspiration to the community around us and change the lives around us. Every person questions himself on the purpose of his life. In my view it is to make a positive contribution towards making the world a better place to live in. Since my childhood, I had seen my dad as a member of the Lions club; I too was searching for avenues to make a difference. 10 years back, Rotary came into my life, thanks to Rtn. Dinesh Kothari who proposed me. It’s hard to imagine now what my life would have been like if I hadn’t joined Rotary – it has shaped and nurtured me and transformed me. Rotary reaches beyond individual pursuits and the impact outlives us for generations to come. I congratulate IPP K.R.Shantha Murthy and his team, for an outstanding Rotary year, with wonderful fellowship and contribution to community over the past Rotary year. I thank the Chief Guest Mr. Umesh Malhotra and the Installing Officer DG Rohinath for accepting my invitation on this momentous occasion. On this occasion, I would like to recognize my dad Mr. G.A.Suresh Kumar, my mother Smt. Sulabha Suresh, my brother Sujith, my beautiful wife Swati and our two children Suhani and Sunheri, and my inlaws Mr. Prakash Patil and Smt. Bharati Patil. 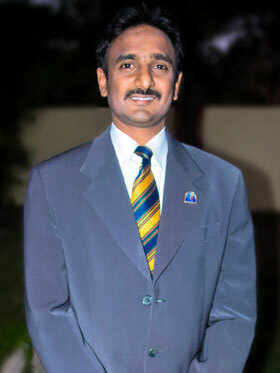 With this my dear Rotarians and guests, I humbly accept the post of President of the Rotary Mysore.